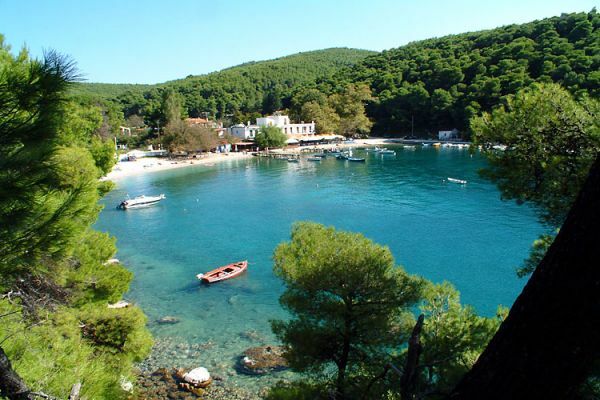 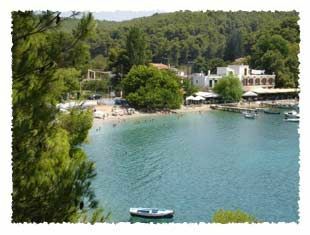 Agnontas is a lovely bay full of pine trees, with marvelous transparent turquoise waters. 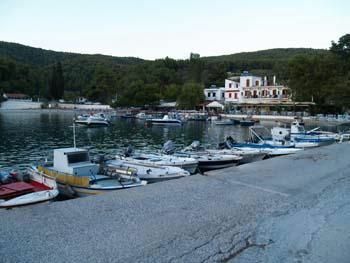 It has a picturesque small safe port, used mainy by fishing and private boats. 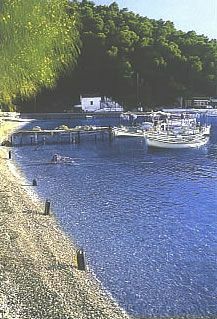 The beach is small and peebly, usually crowded. 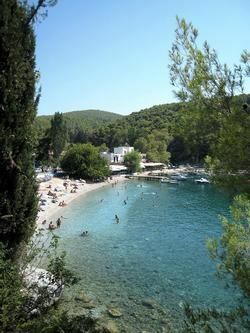 It is located in the southwestern coast, 8 km from Skopelos town. 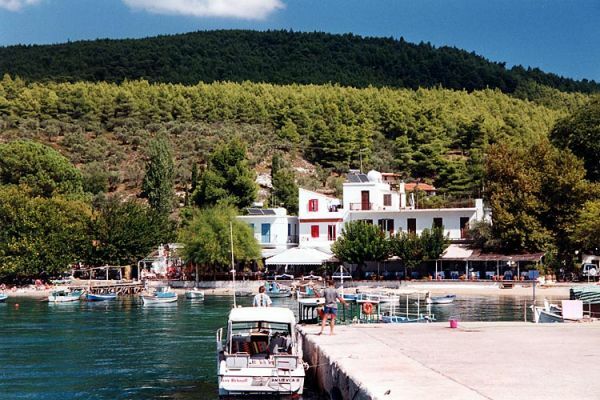 It is a famous spot for eating fresh fish at the good tavernas on the beach, which have small wooden docks in front of the, for ribs and tenders to moor. 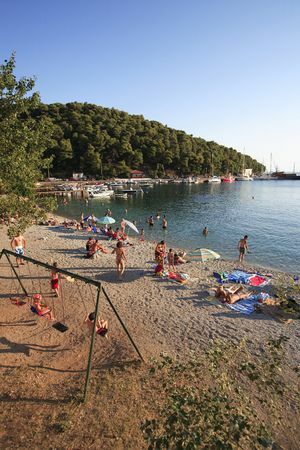 It is a good anchorage for most of the prevailing winds, except maybe south-southwestern. 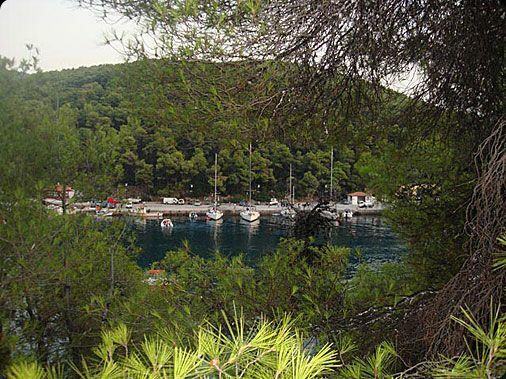 Agnontas port is the 3rd port of Skopelos, used ony when weather conditions do not allow ships and boats to enter the main port in the town. 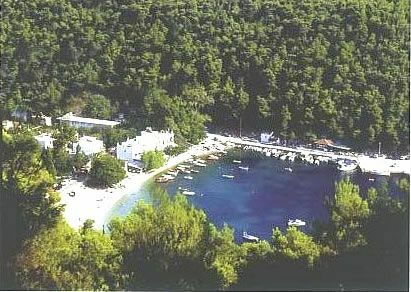 We definately suggest Agnontas as a place to moor for one or even more days, since it is safe and you may easily go to other marvelous beaches nearby (such as the beautiful Limnonari) either by feet or by tender (if you have a quite big one).